More than just celebrating the coming of the Holy Spirit on Pentecost, we should also celebrate the power of the Lord to forgive and restore us beyond our sinful stumbles. Home for the Christmas holidays right after my parents moved, I wasn’t in the mood to go to church in a place I didn’t know anyone. Thankfully, I wasn’t given a choice. To my surprise, I found several other university students at church that Sunday who attended the same college I did. On my second Sunday, one of those college friends gave the devotional thoughts before the Lord’s Supper. Even though this occurred over forty years ago, I remember two things that impacted me about that communion service. First, I thought it was cool that they were inviting a university student to give the communion meditation for the whole congregation of nearly 500 people. Second, my friend’s thoughts have stuck with me to this day. 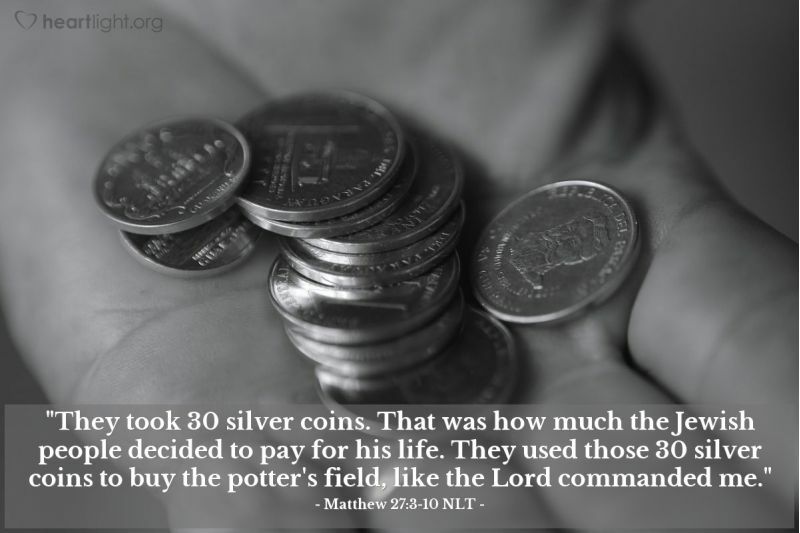 Bottom line, Judas betrayed Jesus for thirty pieces of silver. As much as I hate that, I have to ask myself, "How many times have I betrayed my Lord for nothing?" But, what does betraying Jesus mean? We know what Judas did (Mark 14:44-45), yet how is that different from what others did? Why are Judas’ actions worse than those others who also let Jesus down so terribly that awful night? Peter, James, and John couldn’t stay awake one hour to pray and support Jesus while he prayed, even after Jesus begged for their support in his hour of trial (Mark 14:34; 37-38, 41-42). All the disciples ran away, deserting Jesus when he was arrested (Mark 14:50). Despite being specifically warned, Peter denied being Jesus’ follower or even knowing Jesus three times (Mark 14:66-72). Why was Judas’ sin considered failure and the sins of neglect, abandonment, and denial by the other eleven apostles, not a failure? Didn’t they betray Jesus — along with their love, respect, and commitment to Jesus — too? Weren’t they afraid, hiding behind locked doors because of their fear of the Jewish leaders after Jesus’ death? How is their sin different, unless we are just reading into the story nuances that are too subtle for most of us to grasp? [Jesus said,] “Simon, Simon, behold, Satan demanded to have you, that he might sift you like wheat, but I have prayed for you that your faith may not fail. And when you have turned again, strengthen your brothers” (Luke 22:31-32 ESV). Jesus didn’t classify Peter’s sin as an irretrievable and unredeemable failure. 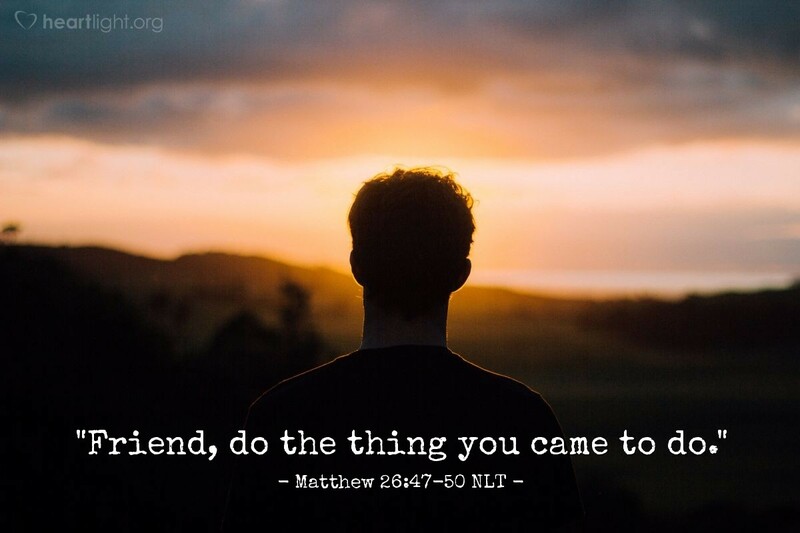 In fact, despite knowing how Peter was going to let him down, abandon him, and deny knowing him, the Lord looked beyond Peter’s stumble to see Peter’s usefulness. By the Lord’ definition, Peter’s "failure" wasn’t an ultimate failure because it wasn’t final. It wasn’t Peter’s last chapter. Despite his embarrassment, Peter returned to the other disciples and welcomed the Lord when he was raised from the dead. After the resurrection, the Lord did lovingly confront Peter. Jesus also reminded Peter three times that he still was calling him to be a loving shepherd and a valuable pastor to the Lord’s people (John 21:15-19). Jesus’ prayerful warning to Peter before his stumble and his loving restoration of Peter after his stumble are good news. This good news hopefully can come alive in us just as it did in Peter. Many believers have just celebrated what is called Pentecost Sunday — the Sunday 50 days after Passover. On Pentecost Sunday nearly two thousand years ago, Peter and the other apostles were filled with the Holy Spirit. They proclaimed the resurrection of Jesus with boldness. Their message led 3,000 people to believe in Jesus as Lord and Christ, to be baptized in Jesus’ name, to be forgiven of their sins, to receive the gift of the Holy Spirit, and to be added to the people of God (Acts 2:1-47). More than celebrating the coming of the Holy Spirit on Pentecost, we should also celebrate the power of the Lord to forgive and restore us beyond our sinful stumbles. We should rejoice in Jesus’ choice to fill and empower each of us with the Spirit despite our sinful stumbles, our embarrassing lapses of faith, and our moments of weakness and fear. Jesus used people whom we could say “failed” him, to proclaim him and lead a new movement of grace that would change the world. That means Jesus can also use us after our “failures.” In fact, we can say that Jesus didn’t see their “failures” — just like he doesn’t see our “failures” — as ultimate failure. Why? Our failures aren’t the final word. Our "failures" aren't ultimate failure unless we choose not to give the Lord an opportunity to forgive, redeem, and restore us. How am I sure such grace can be true? John promised that if we will own ("confess") our sin, God will both forgive our sin and cleanse us of the stain of all sin (1 John 1:5-10). That means that our sin, our “failure,” is gone. 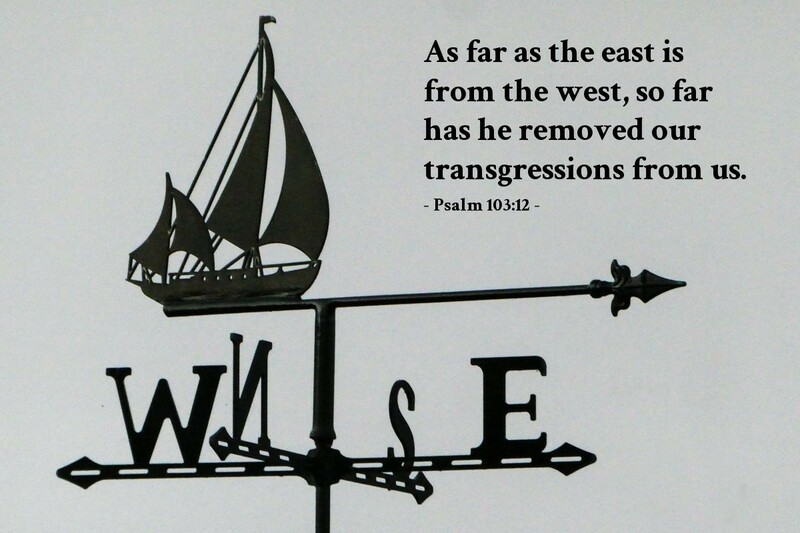 It is not just forgotten; it is obliterated, cleansed, and removed from us (Psalm 103:12). To put this truth succinctly: Our sin is not! It is not there... not remembered... not counted against us... not even a residue in us or in the memory of our gracious Father in heaven. Our stumble does not have to be a burden we bear, the baggage we carry, or a memory Satan can use to belittle us and drag us into true failure! Like Peter, our past stumbles can be used to help us be prepared to help strengthen our fellow believers after we’ve returned to the Lord (Luke 22:31-32). So, if you feel you’ve blown it — you’ve “failed” and embarrassed yourself or ruined your reputation as a follower of Jesus — don’t let the lies of Satan keep you from God's grace. Don’t believe the devil’s deceptions: your stumble is NOT your legacy, NOT your final word, and NOT your lasting story. Failure isn’t fatal unless we choose for it to be final. How can I be sure God's grace is also for me? Our whole existence as Jesus’ people was built on the foundational message of eleven guys who blew it horribly. Jesus, however, restored, renewed, and empowered these flawed people. While their devastating and embarrassing lack of faith is a vital part of the crucifixion story and will never be forgotten, that “failure” was not the final reality for those eleven men. Jesus restored them, then used them to create a legacy of grace, hope, love, and salvation for the whole world. What can Jesus do with what you consider your “failure” if you will let him do something wonderfully gracious in restoring you? Anytime a writer writes, or a preacher preaches, he or she has to anticipate how those who read or hear understand what is communicated. Please do not hear this article say something it is not. While some religious teachers and groups believe that suicide is an unforgivable sin, I do not. There are way too many emotional, psychological, and circumstantial factors that lie behind many suicides that we cannot know, much less understand. As my friend, Steve Ridgell writes in the linked article The Judas Problem, Judas' problem wasn't so much what he did, but what he didn't do. He didn't return to Jesus seeking help for his failure because he failed to believe that Jesus' love could cover his sin. Far too many people share this misunderstanding. Many of us feel we have failed in lives and our faith in ways we would have never imagined. We find ourselves horrified at what we have done. We must know that Jesus wants us to return to him and receive his grace. I thank him who has given me strength, Christ Jesus our Lord, because he judged me faithful, appointing me to his service, though formerly I was a blasphemer, persecutor, and insolent opponent. But I received mercy because I had acted ignorantly in unbelief, and the grace of our Lord overflowed for me with the faith and love that are in Christ Jesus. The saying is trustworthy and deserving of full acceptance, that Christ Jesus came into the world to save sinners, of whom I am the foremost. But I received mercy for this reason, that in me, as the foremost, Jesus Christ might display his perfect patience as an example to those who were to believe in him for eternal life. To the King of the ages, immortal, invisible, the only God, be honor and glory forever and ever. Amen (1 Timothy 1:12—17 ESV — Bold text added for emphasis.). "Failure Isn't Fatal..." by Phil Ware is licensed under a Creative Commons License. Heartlight encourages you to share this material with others in church bulletins, personal emails, and other non-commercial uses. Please see our Usage Guidelines for more information.